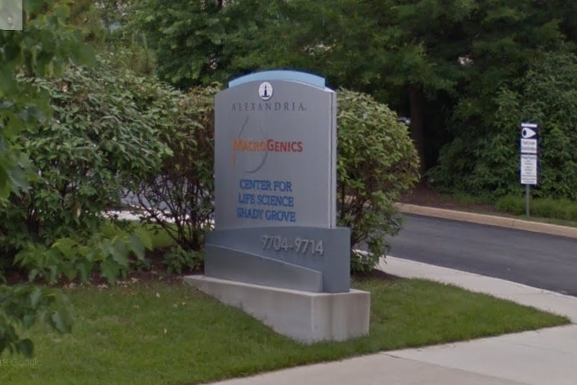 Rockville biotech firm MacroGenics enjoyed a spike of over 100% in its stock price yesterday, after it received positive test results for its Margetuximab antibody treatment for breast cancer. The Phase-3 clinical study, code-named SOPHIA, found the antibody was 24% more effective than trastuzumab in progression-free survival of test participants. 85% of those in the study had a factor that had not responded to other antibody treatments prior to Margetuximab, MacroGenics reported in a press release Wednesday. The company believes the antibody also has potential to be effective against gastroesophageal cancer. “We are pleased with the SOPHIA clinical results and are especially grateful to the patients, their caregivers, trial investigators and site personnel who participated in the study. I would also like to thank the entire MacroGenics team and our business partners who worked diligently to bring margetuximab to the clinic and execute the SOPHIA study,” said Scott Koenig, M.D., Ph.D., MacroGenics’ President and CEO. In moribund Montgomery County, biotech is the only real economic bright spot. With Fortune 500 and other major firms showing no interest in locating in Montgomery, our only hope at this point - barring an election defeat for our corrupt political cartel - is for an existing company like this to someday achieve such status. That's too bad we have so many six-figure biotech jobs. Where are these coal jobs I was promised?!? Council's fault, I bet.